Dejan Lovren and Ki-Jana Hoever returned to full training on Friday to partially soften their manager’s defensive selection headache. 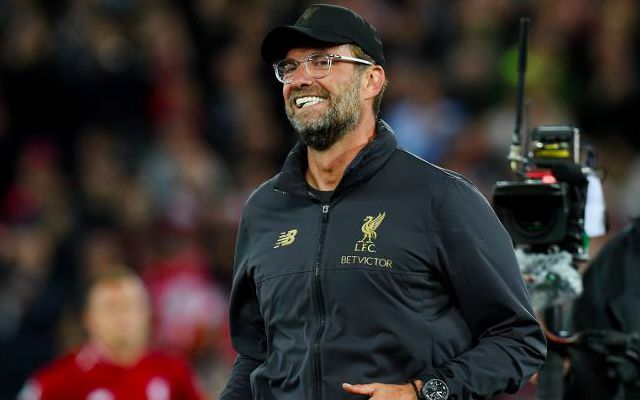 Jurgen Klopp remains without both Trent Alexander-Arnold (knee) and Joe Gomez (fractured leg) as he prepares for Wednesday’s Premier League meeting with Leicester at Anfield. Lovren has been sidelined since being substituted in the first half of the Reds’ FA Cup defeat to Wolves at the beginning of January. His availability would mark a timely boost to Liverpool’s depth as they ready themselves for a busy February of league and Champions League duties. Though less likely to play a part, Hoever does give Klopp a welcomed option in reserve at both centre-back and right-back after shaking off a groin problem. Both were involved at Melwood on Friday and Saturday. Klopp looks likely to keep his faith in the centre-back partnership of Virgil van Dijk and Joel Matip that featured in the 4-3 win over Crystal Palace last time out. The German’s problems lie primarily at right-back in light of Alexander-Arnold’s injury absence and James Milner’s one-game suspension following his red card. 18-year-old Rafael Camacho now looks in contention to slot in at full-back having made his top-flight debut as a 94th minute substitute against Roy Hodgson’s side. Fabinho is another alternative given his experience in the role with Monaco and Brazil, although Klopp will understandably be keen to keep him in midfield if possible.